Cooperstand, Stand & Rack from Cooperstand. 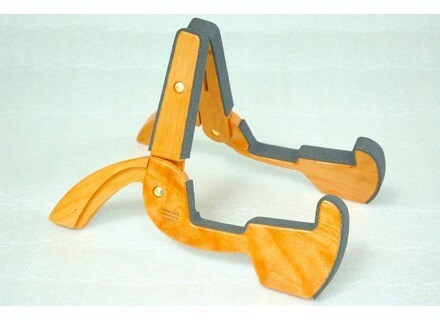 Rotosound announces the release and distribution of Cooperstand guitar stands in the UK. The Cooperstand has a low centre of gravity with four points of contact on the floor designed for increased stability. 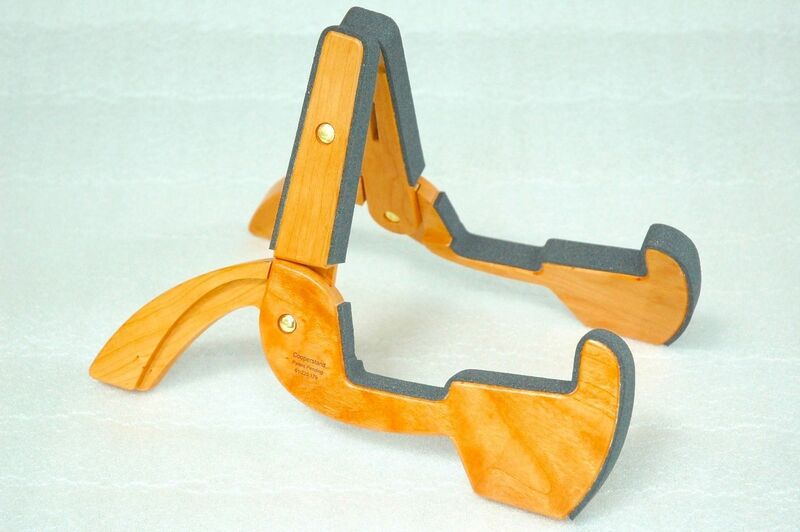 The gripping design means it can move along with the instrument if it is bumped, as a result it is difficult to dislodge your instrument once it is in the stand, according to the company. The stand can accomodate acoustic and electric guitars, as well as smaller stringed instruments like mandolins, violins, and most resonator back banjos. In addition, the Cooperstand, which weighs 16 ounces (500gms), is designed to be opened with one hand, and folds up to fit in gig bags or the headstock area of most guitar cases. It has closed cell neoprene padding, inert silicone plugs at contact points to protect and hold your instrument in place, and no exposed sharp metal edges. It’s the perfect choice for the performing musician looking for a professional stringed instrument stand. Cooperstand will retail for £39.95, and is available online through the Rotosound website and through authorised UK dealers. To find out more about the Cooperstand visit www.cooperstand.com. 1SKB-R1208 Gig Rig Based on the 1SKB19-R1406 Mighty Gig Rig design, the 1SKB19-R1208 Gig Rig is roto-molded of Linear Low Density Polyethylene (LLDPE). [NAMM] BandStorage Band Room Cello Rack BandStorage.com, a subsidiary of A&S Crafted Products, announces the release of its new Band Room Cello Rack. [NAMM] Studio Short Guitar Case Rack Guitarstorage.com are now offering their new "Short" Studio Racks.